P-Nitrophenyl 2-(furfuryl sulfinyl)acetate acid is side chain of Lafutidine Side chain CAS number 123855-55-0, the appearance is light brown crystalline powder, usually Process condensation reaction between the said chain intermediate and lafutidine N-1 to get lafutidine. The specific experimental procedure is as follows: Take 13.2gram Lafutifine N-1 intermediate, add 70ml ethyl acetate, stirred to dissolve, then add 15.6gram 2- (2- furyl methylsulfinyl) acetic acid p-nitrophenol ester , the reaction material was stirred at room temperature for 3-4 hours, after completion of TLC detection, add 100ml water, with concentrated hydrochloric acid to adjust the PH to 4, filtered, layered, the aqueous phase was added 150ml dichloromethane, add potassium carbonate to adjust PH to 10 or so, stratified, the water layer add 80mL dichloromethane to extract. The organic phases were combined, washed 4 times with 30% potassium carbonate solution and washed 5 times with water. The organic phase was separated, dried over anhydrous sodium sulfate, filtered and concentrated to dryness. 100 mL of ethyl acetate was added and the precipitated crystals were stirred at room temperature. The crude product is recrystallized from anhydrous ethanol, decoloured with activated charcoal, filtered through hot water, crystallized by ice-water cooling, filtered and dried to obtain 13.5 g white solid lafutifine. The manufacturing process of P-Nitrophenyl 2-(furfuryl sulfinyl)acetate acid CAS123855-55-0 is not complicated, and it is not impossible to prepare it according to the method of patent. However, the patented method suits the situation of self-use of the product. If it is sold to abroad, it may be necessary to explore a more optimized method. In a large number of synthetic lafutidine patent introduction, Lafutidine intermediates 3 CAS number 123855-55-0 is often synthesized as an active ester intermediate with the corresponding intermediate,take condensation reaction to synthesis lafutidine. The general procedure is as following: use (Z) -2 - ((4-bromobut-2-en-1-yl) oxy) -4- (piperidin-1-ylmethyl) pyridine as raw material to add phthalimide Potassium salt,subjected to a two-step reaction to give intermediate primary amine, primary amine and lafutidine intermediate 3 by condensation to give lafutidine. At present, most manufacturers use this method to synthesis, but this method has obvious shortcomings, the purity of primary amine is too low, and ultimately affect the purity of raw materials. There are few reports about the synthesis of lafutidine intermediate 3 CAS number 123855-55-0, which is only a simple role as an active ester in the amidation reaction, and there is no more in-depth introduction. Specific synthesis methods still need R & D persons to develop according to their own synthesis theory and experience. Looking for ideal 123855-55-0 Manufacturer & supplier ? We have a wide selection at great prices to help you get creative. All the CAS 123855-55-0 are quality guaranteed. 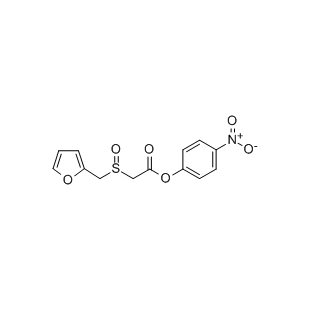 We are China Origin Factory of Lafutidine Intermediate 3 CAS 123855-55-0. If you have any question, please feel free to contact us.